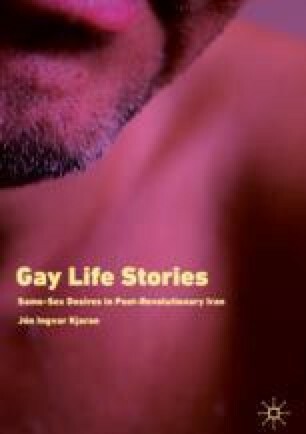 The chapter focuses on gay/queer activism among Iranian gay men, living inside of the Islamic Republic of Iran. It discusses what it means to be a gay activist, drawing attention to the socio-cultural context and particular historicity. It draws on interviews with gay-identifying Iranian males who could be seen/defined as activists, fighting for not only sexual rights but also political rights in general. Some of them moved out of Iran because of their activism, while others suffered at the hands of the authorities and were imprisoned. Blog sites and other social media sites are addressed, as those have been widely used by Iranian youth to express their dissatisfaction and voice their protests with authorities. These online platforms have also been used by gays, whether activists or not, to create an online community. Caliskan, M., & Dikmen, Y. (2015, June 28). Turkish Police Use of Water Cannon to Disperse Gay Pride Parade. Reuters. Retrieved from https://www.reuters.com/article/us-turkey-rights-pride/turkish-police-use-water-cannon-to-disperse-gay-pride-parade-idUSKCN0P80OQ20150628. Day of Fighting against Homophobia and Transphobia in Iran. (2012, June). Retrieved from http://hamjensgera.com/article/33. Forbes, S. (2016–2017). The Reconstruction of Homosexuality and Its Consequences in Contemporary Iran. The SOAS Journal of Postgraduate Research, 10, 25–47. Retrieved from http://eprints.soas.ac.uk/24678/1/07_SForbes_Reconstruction_Homosexuality.pdf. Human Rights Watch. (2008). We Need a Law for Liberation. Gender, Sexuality, and Human Rights in a Changing Turkey. Retrieved from https://www.hrw.org/sites/default/files/reports/turkey0508webwcover.pdf. IRQR. (n.d.). Iranian railroad for queer refugees. Retrieved from http://irqr.ca/2016/. Queer Nation NY. (2016). Queer Nation NY History. Retrieved from http://queernationny.org/history. Urban Dictionary. (2001, December 5). Gaydar. Retrieved from https://www.urbandictionary.com/define.php?term=gaydar. Whitaker, B. (2010, December 15). From Discrimination to Death—Being Gay in Iran. The Guardian. Retrieved from: https://www.theguardian.com/commentisfree/2010/dec/15/gay-iran-mahmoud-ahmadinejad.